We are living in an age of mobility and connected economies, where time is money and we can't afford to waste any of it. Whether we are individuals or businesses, we look for services and solutions that are hassle-free and that allow us to focus on our core values while still feeling safe and in control. WestStein Ltd was established and is managed by a team experienced in banking, international relations, new technologies and entrepreneurship. This provides us with an in-­depth understanding of the financial technology industry and client needs, as well as of the best added­ value services. For us, simplicity is key, and our clients’ needs are our inspiration. When creating our company, brand and products, we took a fresh look at the basics of financial services, and added the newest technologies and insights to the modern customer's needs. Less fuss, more transparency and flexibility, not to mention better pricing and full online management is what we came up with. Our products and solutions have no borders – we follow regulations to maintain a high degree of compliance, as well as provide quality customer service and security standards, while innovating and offering focused and digital financial products. We believe that financial technologies, or FinTech, should serve the community - the businesses and individuals who make use of them - and not vice versa. Our top priority is the security of our customers’ funds. Therefore, we implement the highest technological standards to ensure security, and comply with the financial regulations of FCA as well as the rules and directives of the European Parliament and the Council. We believe that FinTech does not have to be complicated for customers or for those who want to innovate. We design our products and services to be fully manageable online and on mobile, providing access to global financial payment markets wherever our clients maybe. Our financial products and services are straightforward and transparent, easy to understand and tailored to our clients' needs with no hidden fees. 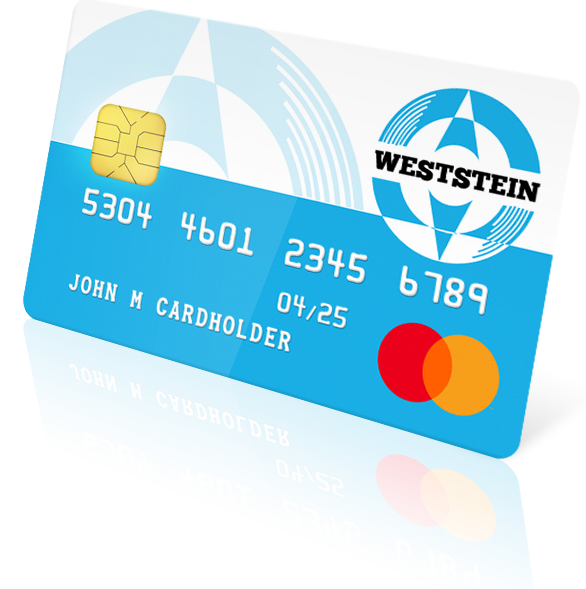 With multi-users access, fully managed online with unlimited number of WestStein Prepaid Mastercard assigned to it. The perfect finance tracking and management solution for any size companies. 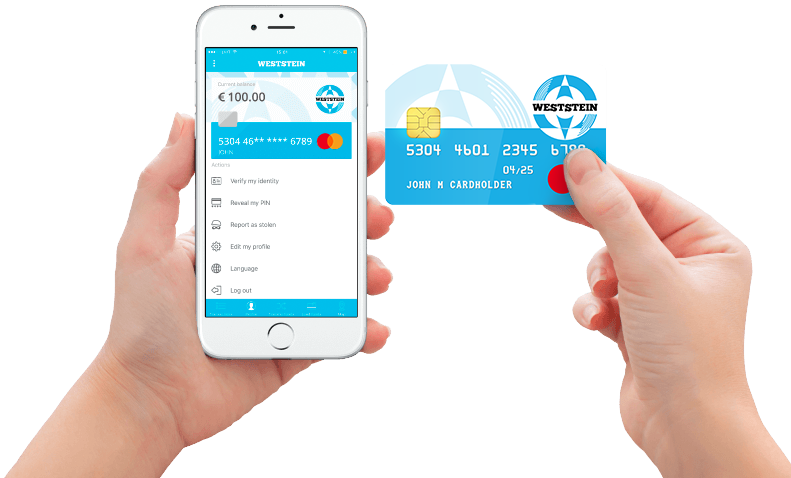 Access company’s e-wallet anytime anywhere, manage and top up company’s WestStein Prepaid Mastercards anywhere you are. Use WestStein Prepaid Mastercards for your loyalty programs, bonuses and as gift cards issued to your clients, partners or employees of your company.